We’ve told you about Tuff Possum Gear’s Modified 10×12″ CenterZip Pouches before (previous article). These handy pouches are designed to easily attach to the Hill People Gear Tarahumara pack to expand its capacity. Now Tuff Possum Gear is offering the pouch in two special colors: Multicam Black and Safety Orange. The Multicam Black is notable because, well… everyone like Multicam Black and it looks great. 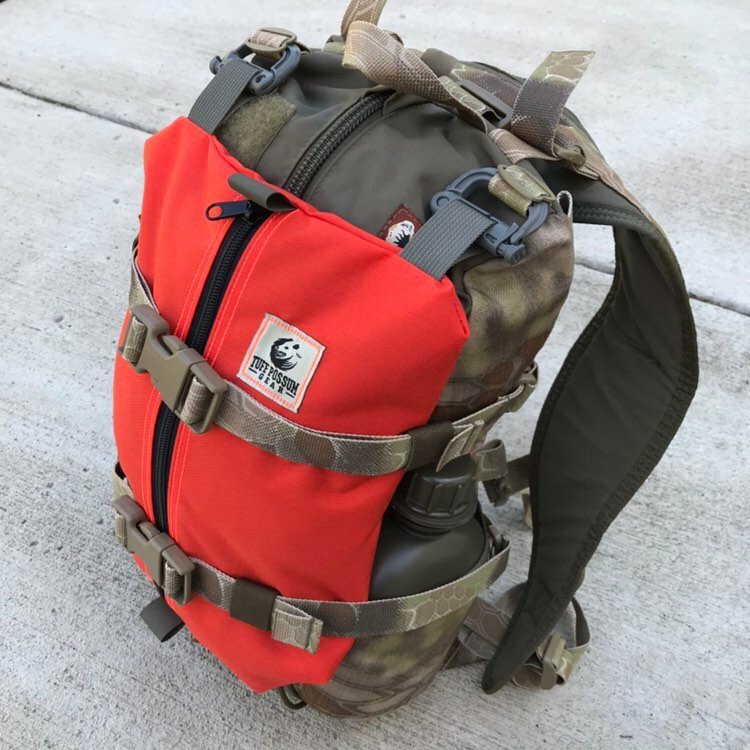 The Safety Orange colorway is truly useful for those who want to not only add capacity to their Tarahumara, but also stand out more in the woods. If you are using the Tarahumara as a hunting pack, this would be an easy way to add some orange to your kit. Even if you aren’t hunting but you are using the pack in an area where you know hunters may be, this is a handy addition to a great pack.